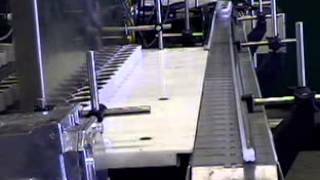 In any packaging line, there will be certain pieces of machinery required to bring the containers from start to finish. Transfer stations facilitate the movement of containers from the conveyors to the machines they need to stop at next, and then from the machines to the next conveyor belt. To learn more about push stations and how they work, check out these videos. Why Do You Need Push and Pull Stations? 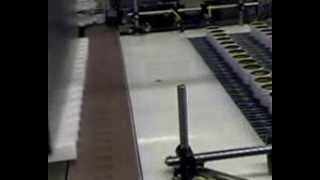 Transfer stations are a necessary part of any packaging line. 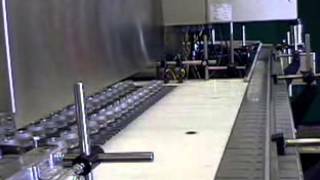 Conveyors bring the product containers down the line, but once they’re stopped in place, if there’s nothing moving them to where they need to be—say, on another conveyor, or moving toward a filling machine—they’d just sit there on the conveyor, never getting to the next work station. 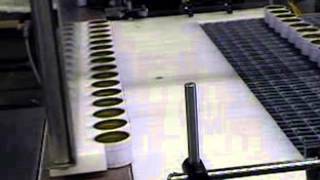 Push stations ensure that your product actually makes it through the packaging line. 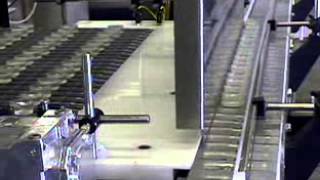 In order to get from the bottle cleaning station to the filling machines to the labelers, your conveyor stations need a transfer station. In addition to using transfer stations in your packaging line, you’ll obviously need to implement the other parts of the line as well. 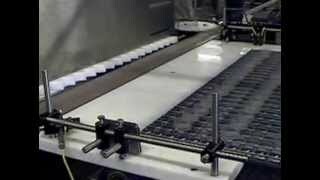 Conveyors are an important piece of the line, as they move the containers from one machine to the next—such machines including the bottle cleaners, which prepare the containers to be filled; the liquid filling machines, which actually fill the containers; capping machines, which are available for a few different types of caps; and labelers, which tell people what is in the container. Learn more about transfer stations today by contacting E-PAK Machinery.